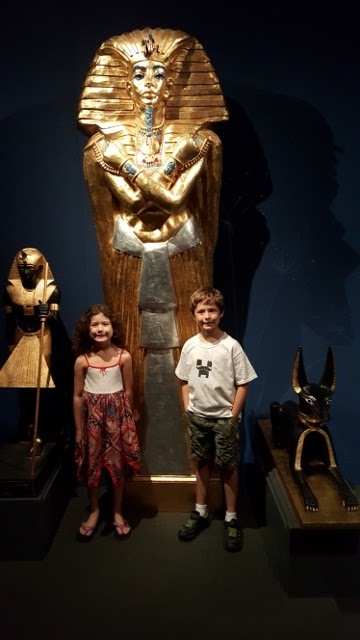 While looking at local museums, I realized that while my kids have experience much of science museums, I have not let them experience the fascinating subject of Ancient Egypt. Luckily, the Muzeo helped remedy that. 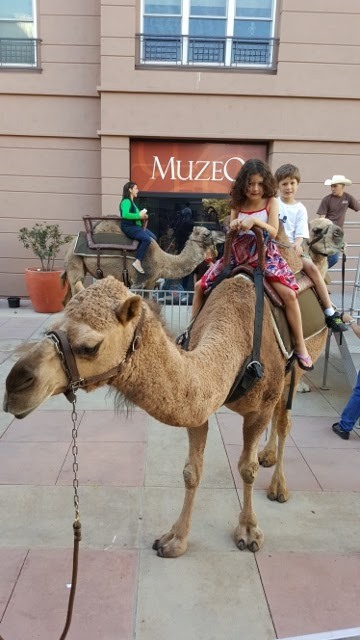 The MUZEO is a great local museum in Anaheim that helps students of all ages experience the wonders of the world. The latest exhibit, "King Tut: Wonderful Things from the Pharaoh’s Tomb" help me fill the gap in knowledge for my kids. The items on display were great replica's of riches they could only imagine. They even were able to ride a camel! This exhibit is open at the MUZEO now through January 24. Ten years in the making, this dazzling collection of 131 replicas of Tutankhamun’s legendary treasures recreates the richest archaeological find of all time. Carefully recreated by the artisans of the Pharaonic Village in Giza, Egypt and the Metropolitan Museum of Art, this collection is larger and more complete than any previous exhibition of original artifacts. 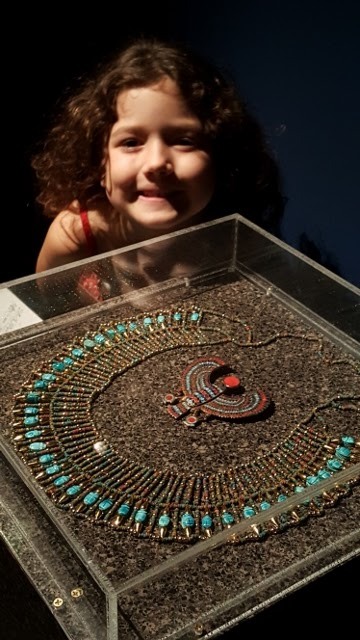 Displayed in open glass cases, King Tut includes replicas of the pharaoh’s sacred and personal possessions along with associated artifacts from the period surrounding Tutankhamen’s reign. Museum hours are 10 a.m.–5 p.m., Tuesday through Sunday. Admission for exhibits in the main gallery is $10 for adults, $9 for seniors, $6 for ages 3–12, and FREE for children under 3. 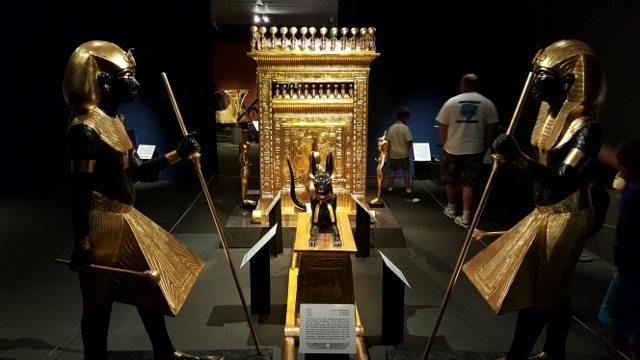 The Muzeo is offering FREE 45-minute docent led tours of King Tut: “Wonderful Things” from the Pharaoh’s Tomb with the normal price of admission. Tours are given daily at 11 am and 1 pm. Private docent group tours of the exhibit are available for groups of 10 or more with an advanced reservation. School tours are available for a discounted rate of $5 per student for groups of 15 or more. One supervisor for every ten students will be admitted at no charge. For group rates and membership information, call 714-956-8936.